Prosecutors raided the headquarters of Samsung Securities Co. on Monday as part of an investigation into last month's massive dividend error by an accidental stock issuance worth over 110 trillion won ($100 billion). 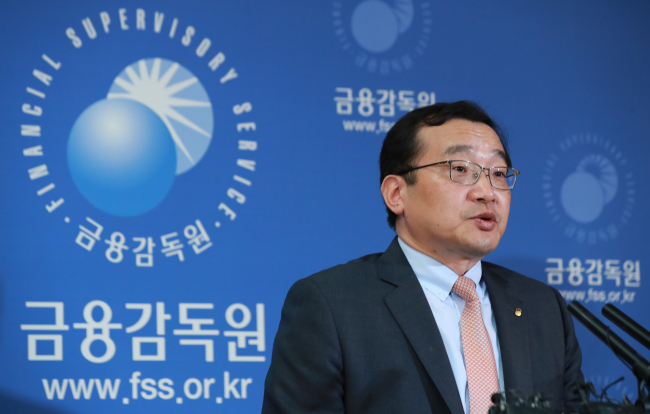 Investigators from the Seoul Southern District Prosecutors' Office were sent to search the premises in Seocho, southern Seoul, and four other branches to confiscate evidence, including documents and digital files, the office said. Prosecutors are investigating the stock blunder that happened on April 6, in which an official at the brokerage house by mistake typed in 1,000 shares instead of 1,000 won per share in dividends that were to be paid to employees under a company compensation plan. As a result it issued 2.8 billion shares that only existed on paper. But some of the workers who received the stocks quickly sold them in the market. Shares of Samsung Securities nose-dived about 12 percent on the day it made the error.